Foxglove plants, also known as digitalis purpurea, can be a magnificent addition to your home. These vertical, cascading things of beauty give an elegant touch to your outdoor decorations, whether you place them on a patio, personal garden, or a balcony. Here are some tips to help you grow and care for foxglove plants in pots. Plants or seeds? : Decide whether you should purchase a foxglove plant that has already been grown, or some foxglove seeds for you to grow from scratch. This highly depends on whether you want your flowers right away, or if you want to grow and care for your foxglove plants in pots yourself. If you are in urgent need of foxglove flowers, then buy some grown foxglove plants from gardening stores, for you to transfer to your own pots. Otherwise, buy a packet of foxglove seeds. Prepare your pot: Is your foxglove plant going to be alone in its pot, or are you planting it along with others? If you’re planning to plant it separately from your other plants, you can get a container that can accommodate its size. Take note, though, that the foxglove plant can grow as high as five feet tall, and one foot wide. If you’re growing it with others in the same pot, make sure to use a larger pot. Set the foxglove plant at the back so it doesn't cover the rest, and make sure that all plants have enough space in between to prevent leaf spot. In addition, create a drain hole at the bottom of the pot to release excess water. Give them some light: If you live in warm regions, you can grow your foxglove plants in pots under partial shade. However, it’s best to keep these plants under direct sunlight as much as possible, to stimulate the production of chlorophyll, a phytochemical that facilitates proper growth. Furthermore, by keeping your foxglove plants in pots within range of sunlight, you can prevent the soil from getting too moist. Sunlight can dry up excess amounts of water quickly. Support, water, fertilize: Place a stake on your pot, to provide support for your foxglove plant. This stake will help your plant stay upright. Water your fox plant regularly, especially during the summer. However, make sure not to water it too much, as accumulated water in the soil can drown your plant and cause rotting roots. While the plant is still growing, apply liquid fertilizer. To deadhead, or not to deadhead? : Fox glove plants, when left alone, can propagate themselves through their seeds, which are released via their flowers. If you want to propagate your plant manually, cut off the flowers after they bloom. You can deadhead your fox glove plants in pots if you want to keep them from spreading too quickly. However, if you have enough room to hold multiple foxgloves, you can allow them to propagate. 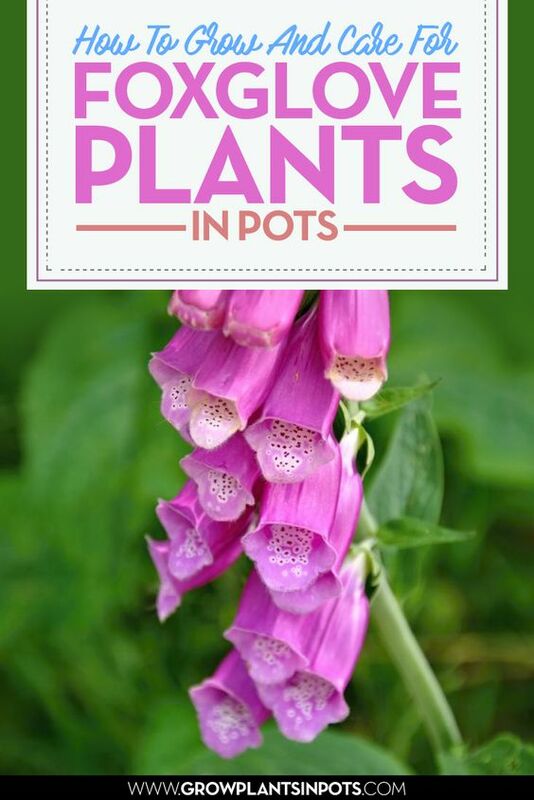 By planting foxgloves in pots, you can open up many different options, as to the location of this plant in your home. 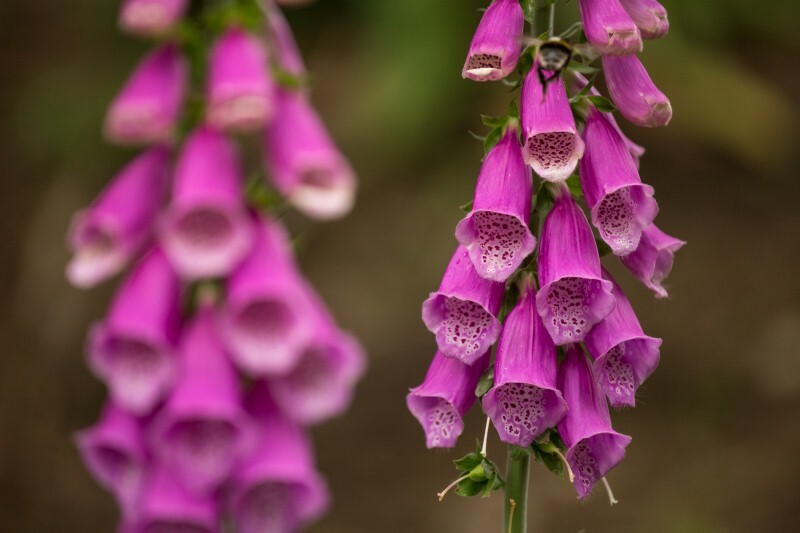 Make sure to add sufficient support, water, fertilizer, and sunlight, for your foxglove plants in containers to grow fully.